After a delightful flight from Chiang Mai to Krabi airport, we got the shuttle bus to take us to Ao Nang, I made the mistake last time I visited Thailand to stay there, little did I know that if you hop on a ten minute long tail boat ride, around the corner is spectacular Railay beach! 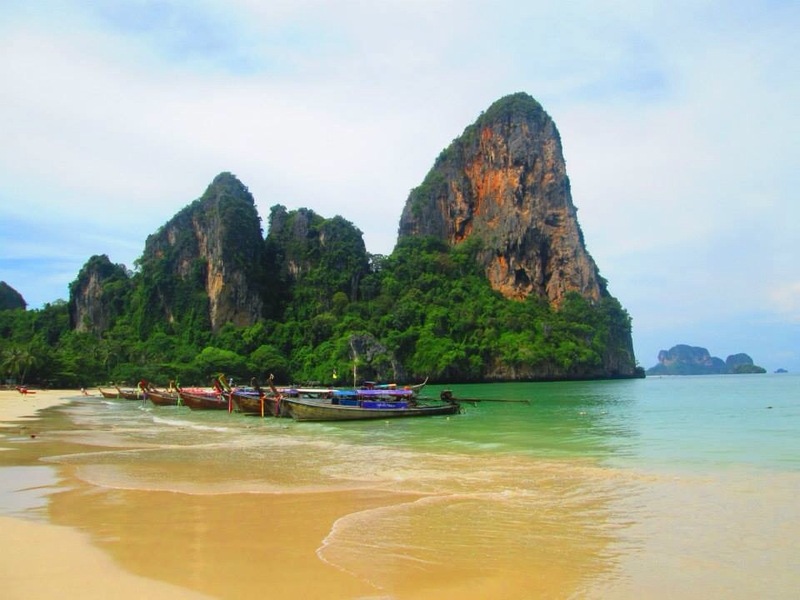 In actual fact, it is probably Thailand’s most iconic beach which you see on a lot of Tourism websites/magazines etc. 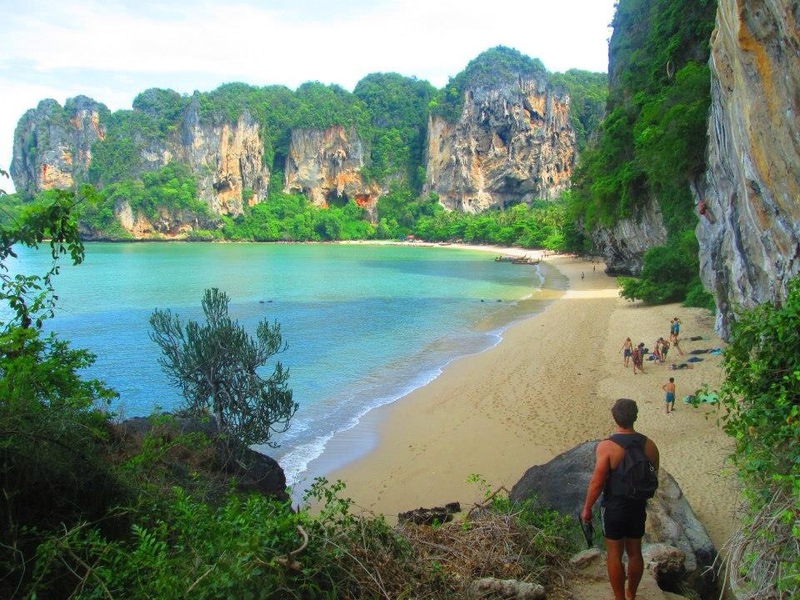 We decided to stay on Tonsai beach, which is the bay just before Railay, you could walk between the two through a jungle type nature trek, it only took about ten minutes but it was a work out! Tonsai is a quirky, chilled out beach where many rock climbers flock to. 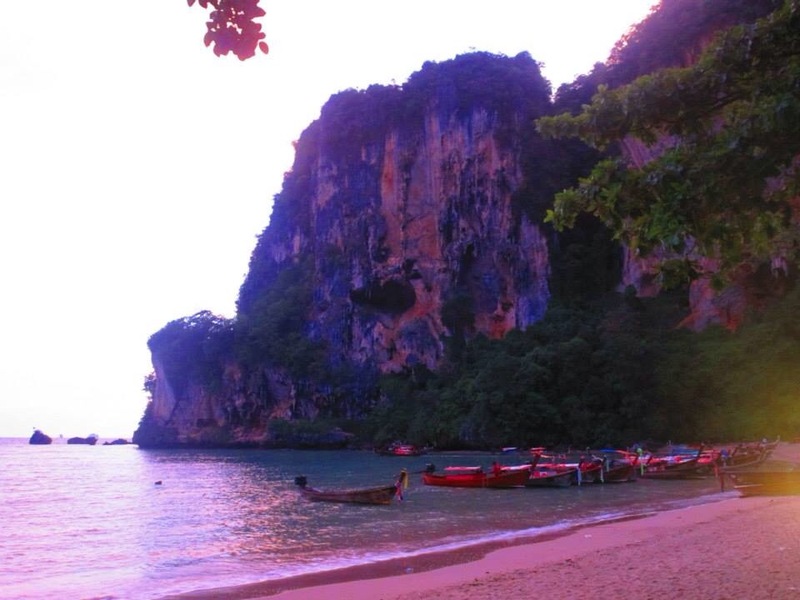 The beach itself isn’t as beautiful as Railay, but nevertheless it was still pretty amazing. 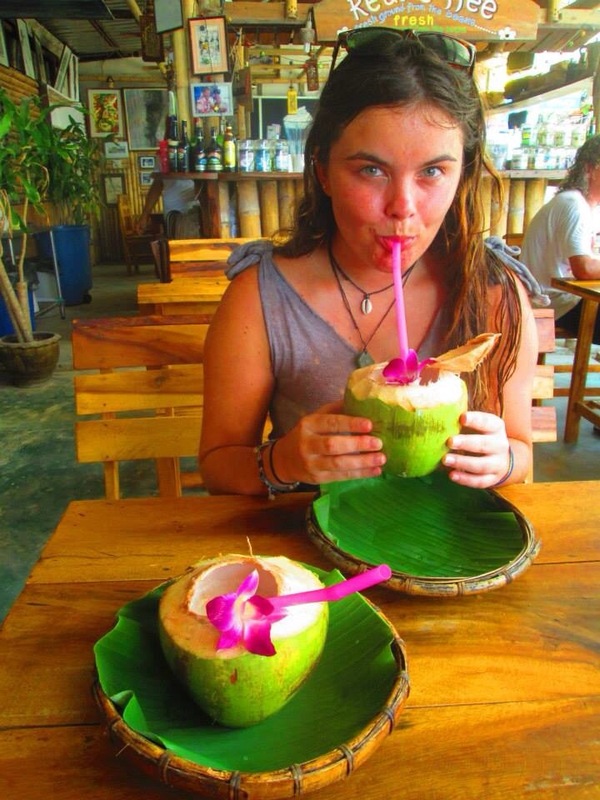 There was only really one place to stay there, which was Tonsai bungalows, they were located on the beach, however our bungalow was right at the back only a short stroll away. 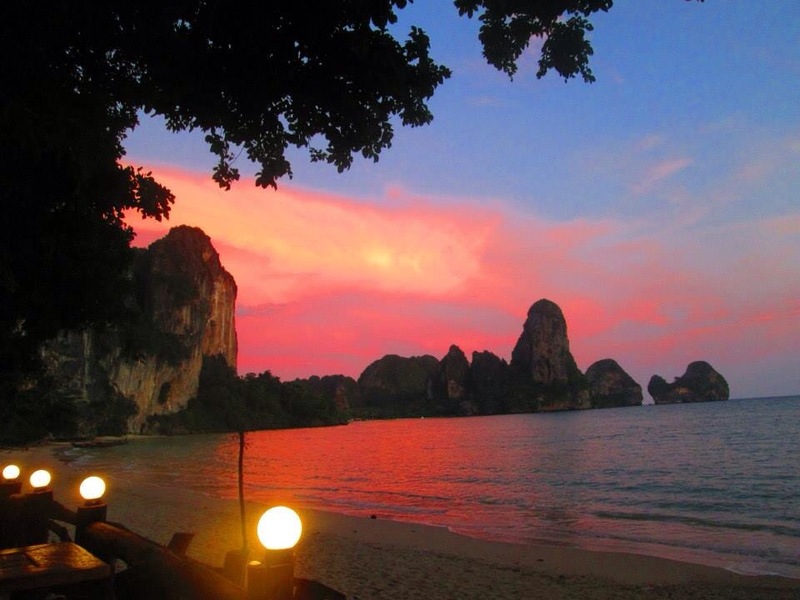 We ate dinner most nights outside on the beach front watching the sunset, the sky would turn a beautiful pink colour. I did love it here, however the third night I must have eaten a dodgy prawn. Needless to say I was up all night, I had never been so ill in my life. What made matters worse is that the next day, when all I wanted to do was lay in bed in a cool room, our bungalows electricity was cut off from 9am to 6pm as it was low season. The heat was unbearable in the stuffy room so I forced myself on the beach laying in the shade (which was very hard to find). It took me a few days to get over the food poisoning, Tom actually had it the day before me so he didn’t feel 100% either. It was a shame, as it was such a stunning place, but that just put a dampener on it really. We later found out from other travellers and Thai locals that Tonsai is renowned for catching food poisoning and has the nickname “Tonsai tummy”. 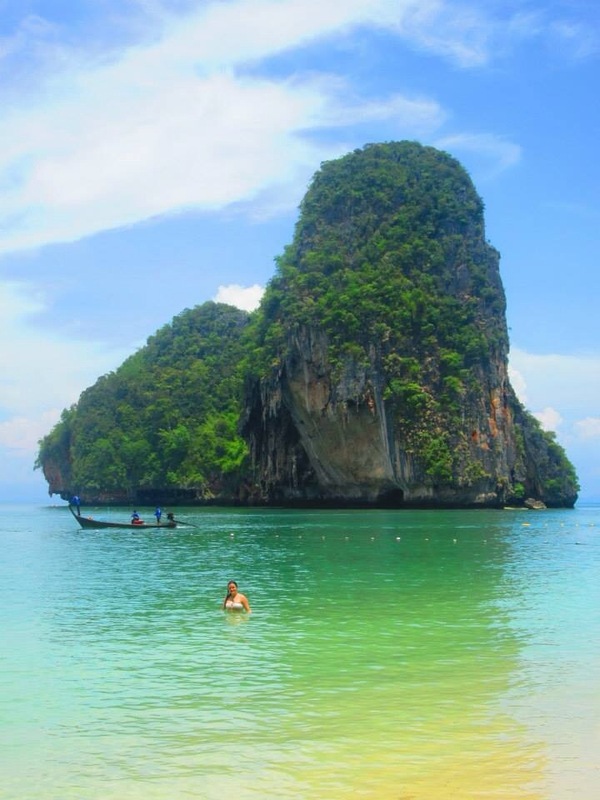 I don’t think I would stay here next time, but its worth a visit if you head to Railay (just don’t eat there! ).